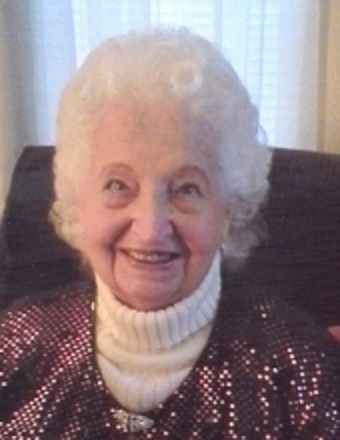 Jennie 'Boots' Laura Wilham, 93, of Springfield, formerly of Mt. Pulaski, passed away at 8:20 A.M. Friday, August 17, 2018, at her residence. Boots was born on May 15, 1925, in Detroit, MI, the daughter of Walter and Alma (Hiar) Mapes. She married Keith H. Wilham Sr. on December 24, 1943, in Detroit, MI. He preceded her in death on February 26, 2014. Surviving are four children, Keith H. Wilham Jr. of Redmond, WA, Stephen L. (Patricia) Wilham of Newalla, OK, Sandra E. Wilham of Springfield, IL and Darla G. (Rick) Irwin of Springfield, IL. She is also survived by her sister Sarah Logan of Mt. Pulaski, six grandchildren, eleven great-grandchildren, and several nieces and nephews. She was preceded in death by her parents, husband, one son Roger, one sister Audrey Barton and two half-brothers, Milton Jenks and Adrian Jenks. Boots was a member of the Mt. Pulaski Christian Church, the Mt. Pulaski VFW Auxiliary Post #777 and was a domestic goddess the rest of the time. Services for Boots will be 12:00 noon Wednesday, August 22, 2018, at Fricke-Calvert-Schrader Funeral Home in Mt. Pulaski, IL with Mark Weber officiating. Visitation will be 2 hours prior to service, 10:00 a.m. - 12 noon. Burial at Mt. Pulaski Cemetery will follow the service. Memorials may be made to the Wilham family for the care of Sandy Wilham.